Guðmundur Arnar Guðmundsson‘s 2016 film Heartstone for me was one of my most anticipated films – reading about it, watching other films by the director, and watching the trailer over and over were just some of the activities that warmed me up to the cinematic experience of actually watching it. Now that I have seen it, admittedly its story turned out to be different from what the trailer led me to believe it would be about, yet all of my extremely high expectations about the quality of the production and the storytelling were met and exceeded. 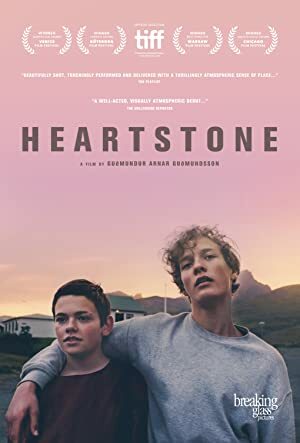 A Coming-of-Age film set in a remote fishing village in Iceland, Heartstone is about the close friendship between two adolescent boys: Thor (Baldur Einarsson) and Kristian (Blær Hinriksson) and the challenges they face as they struggle to comprehend their feelings towards girls and each other. Cinematographically the film is a true masterpiece, utilizing a predominately subjective cinematic point of view, with extreme close-up shots that stress intimacy between the characters (in some scenes the dampness on the protagonist’s forehand caused a palpable warm feeling and uneasiness in me). Other scenes are barely lit, as the filmmakers chose to rely on sound and the viewer’s imagination to fill in the details. Iceland’s natural beauty has not been forgotten and is well captured in the stunning panoramic shots that enhance the overall impact of the picture. Undoubtedly the notion that the film speaks the language of the senses is well validated in Heartstone. 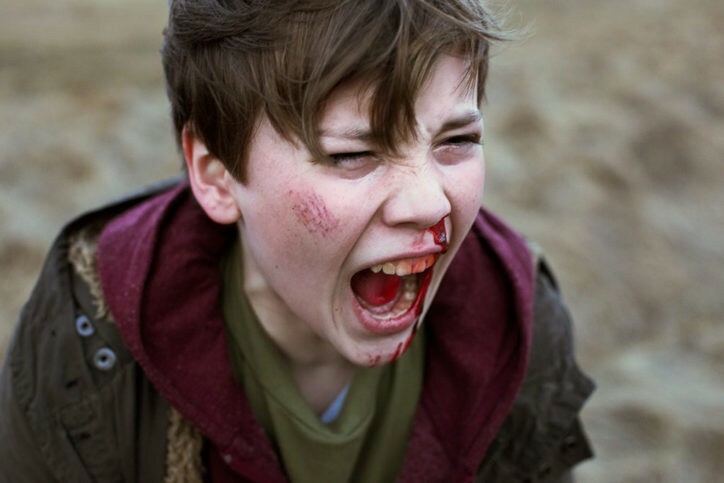 While reviewing another film, produced and directed by Guðmundur Arnar Guðmundsson, (namely the short film Ártún) I made a note of how Scandinavian Coming-of-Age films and, in particular those originating in Iceland, portray the rites-of-passage of their young protagonists in a daring, true-to-life manner and Heartstone is no exception. The portrayal of youthful sexuality, from self-exploration to jokes and tenderness (again the comparisons with Barnens ö and World Wide Woven Bodies come to mind), may cause unease in the most conservative viewers of the film. Yet it’s shot in a non-exploitive, poignant and intimate manner that demonstrates that, as in “real” life, sexuality is not all that peoples’ lives revolve around, but that it’s an integral part of one’s identity and provides an invaluable insight into the characters’ personalities. In all fairness, Heartstone’s main theme is the friendship between Thor and Kristian, but there are a variety of subplots and happenings that add nuances to it (sexuality being one of them). The two young leads are phenomenal in their roles, and they contribute greatly to the portrayal of boyhood and Coming-of-Age per se. The characters of Thor and Kristian are, at times, confused, strong, weak, smart, silly, mischievous, rough or tender …and Baldur Einarsson and Blær Hinriksson have somehow managed to portray that huge spectrum of emotions in a way that’s very effective, ensuring that one is able to associate with them and care about their fate. Many of their experiences are universal and, when watching the film, one’s mind is guaranteed to evoke long forgotten yet precious sentiments about past loves and friendships. 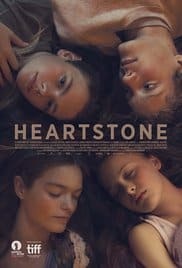 Visually beautiful and well-acted, Heartstone is a poignant film that earns my highest recommendation. Visually beautiful and well-acted, Heartstone is a poignant film that earns the highest recommendation.